One day, over a year ago, Gabriel was struggling with his form. He couldn’t figure out why. I watched him shoot and quickly realized that he was not making his anchor point. He tried and tried, but could not make his anchor point with an arrow on the string. If you took the arrow off the string he would make it to anchor every time. 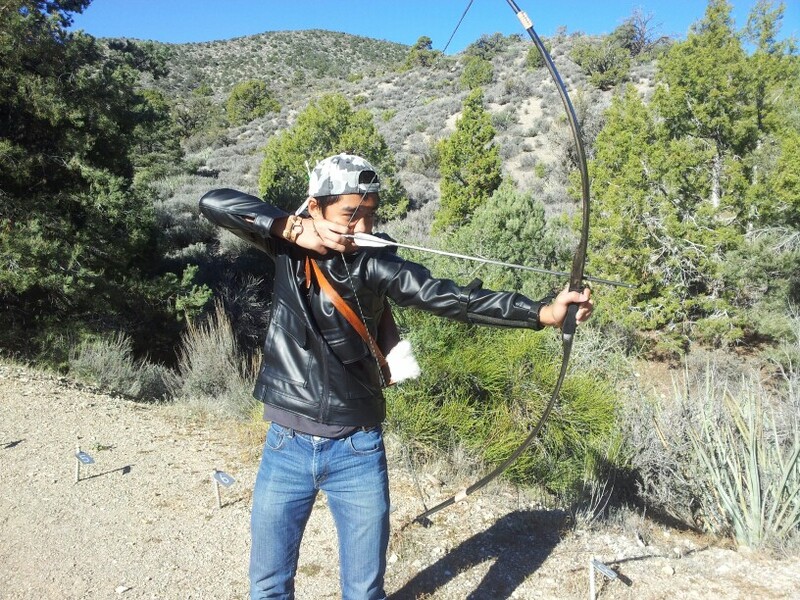 We tried everything we could to fix it, a bow with lighter draw weight, aiming drills, different anchor points, we even switched from a glove to a tab. Nothing seemed to help. Gabriel tried, over and over again, but he eventually lost interest and stopped shooting. Over the next year, Gabriel would try shooting again every other month or so. Still, he could not make his anchor point with a nocked arrow. Target Panic? How could he have Target Panic and not know it? How can you have Target Panic for over a year? It didn’t make sense to me, but I went with it. I have read several articles on target Panic and I knew where to start… The Blank Bale. Gabriel didn’t shoot much more that night, but two days later he was back at the archery range. This time he spent his time on the blank bale. For the first time Gabriel had some progress. A little of that passion for archery was alive again. While he is still working on the issue, it’s nice shooting with my son again. Sharing our passion for the sport of Archery was always my favorite time together. 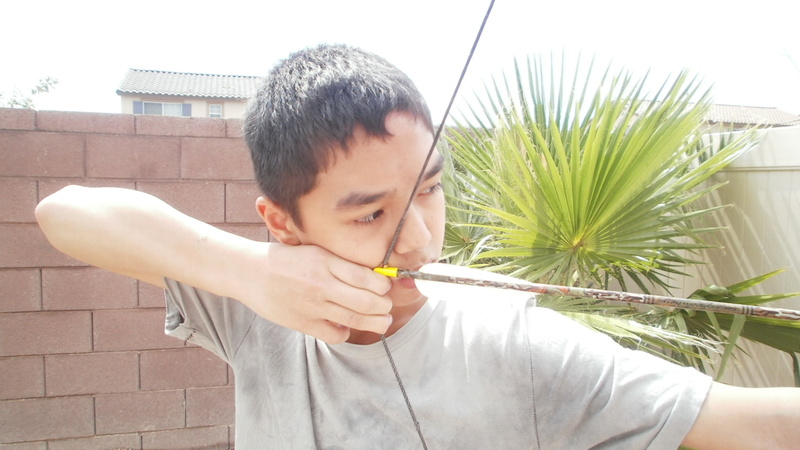 This entry was posted in Archery Education and tagged anchor point, archery, archery form, education, target panic. Bookmark the permalink. Great to hear that he is on his way to a solution, great dad, son stuff too. Thanks for posting it! Thanks for commenting Charles. Our winter league just started. I am hoping that he will be ready come spring in time for the league. I am so glad he is shooting again! Me too. I missed having him along. As a teenager, he doesn’t do too much with his Ole’ Man anymore. They don’t have a class for us. We shoot traditional.